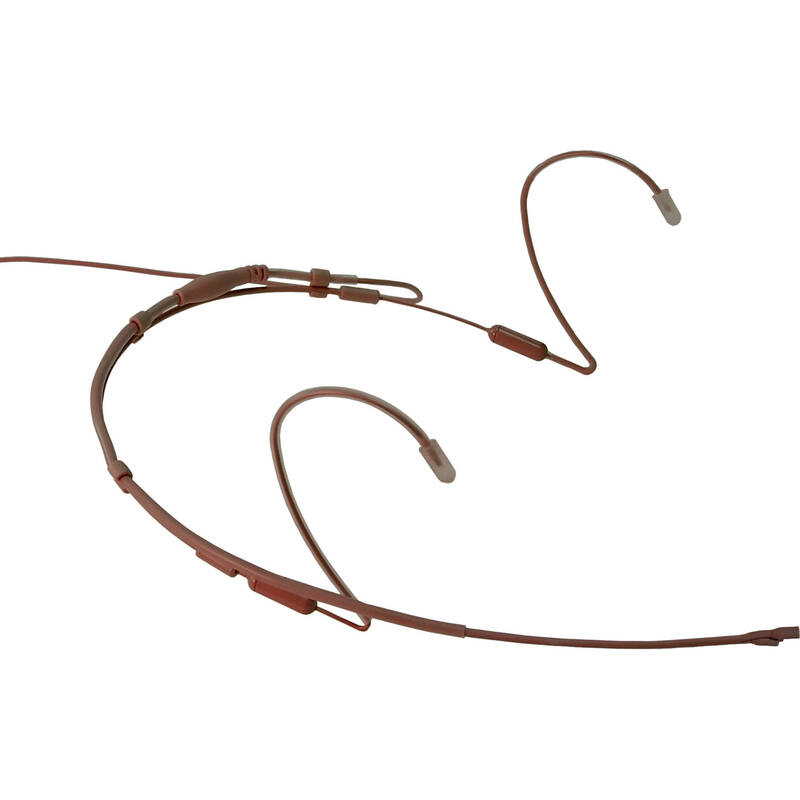 The brown CO2-8WD-XLE Dual-Element Omnidirectional Headset Microphone from Point Source Audio pairs two microphone elements into a single housing to create a sleek form factor and a low-profile headset microphone. It can be used to capture audio and offers built-in microphone redundancy for wireless transmitters in live stage, theater, broadcast, and speech applications. The CO2-8WD's dual elements are factory matched to a near identical ±0.5 dB difference and both elements are IP57 waterproof rated. This headset is built with an unbreakable boom that can bend 360°. The microphone cable splits approximately 9" above the connection to the bodypack to allow for ample room for separation of the transmitters. In addition, the mic is equipped with a 6' cable that terminates with two 5-pin mini X-Connectors for Lectrosonics transmitters.